The concept of Time Travel is one of those collective, universal fascinations that never wanes. The idea seems to constantly be orbiting pop-culture from Orson Welles to countless TV series and movies. For most of us, The Back to the Future trilogy comes to mind when thinking going back in time. And more recently, Midnight in Paris was highly touted for it's imaginative premise of a present day writer meeting literary heroes of the past. I actually liked Rachel McAdams and Eric Bana in The Time Travelers Wife. 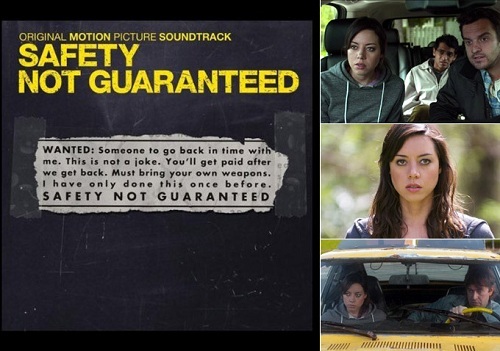 Now joining the time travel movie galaxy is Safety Not Guaranteed, a quirky, romantic comedy, written by Derek Connolly, expressly for the deadpan, somberly funny Aubrey Plaza (Parks & Recreations). It also stars one half of the movie-making Duplass Brothers (The Puffy Chair, Jeff Who Lives at Home) Mark Duplass, who along with brother Jeff act as executive producers, putting their improvised dialogue and casual filming stamp all over this movie. Darius (Plaza) is a lowly intern at a small, Seattle magazine. the position is typical of most internships, running errands, getting coffee, even changing toilet paper rolls, but it's not the job that makes Darius low key, sullen and borderline miserable. Or as her father puts it (cameo by Curb Your Enthusiasm’s Jeff Garland) she seems to be under a cloud. Despite her lack of enthusiasm, when one of the writers, Jeff (Jake M. Johnson) pitches a story idea to track down the person who placed an ad looking for a Time Traveling Companion “Must bring your own weapons". "Safety not guaranteed.” Darius volunteers to work on the assignment. Also along for the ride, adding some rather predictable humorous moments, is a nerd intern from India, Arnau (Karan Soni), who has yet to get laid, making it Jeff's mission to not only make certain Arnau gets deflowered on this "field trip", but it's also revealed Jeff's real motive for suggesting the story, is to look up an old high school crush who lives in this area of the Pacific Northwest. The film has a few implausibilities that have nothing to do with whether or not time travel is possible. For instance: once they locate the would be scientist, Kenneth (Duplass), they find him to be secretive and paranoid about his invention, he worries that he's being watched and takes all sorts of precautions. Yet, after making contact with Darius he never thinks to follow her home? If he did, he'd see she was staying in a cheap motel with two guys, one of which already approached him about his ad. Kenneth & Darius discover they both want to return to the same year in order to change a part of their respective past; but why did the writer choose the year 2001, with no mention of 9/11? Despite these minor issues - the odd, vulnerable romance that develops between Kenneth and Darius, as they start to trust one another and experience the possibilities and danger of the mission, is what makes the film noteworthy and engaging. Winning The Waldo Salt Screenwriting Award at Sundance 2012. The day before this screening of Safety Not Guaranteed, PFS had a preview screening of Wes Anderson's new film Moonrise Kingdom, and although the latter is clearly the more superior film in terms of style, cast and creativity; I couldn't help but notice a few similarities between the two:both films are nutty, but not played for laughs, both are centered around the romance of characters who are out of the mainstream, on the fringe. Both couples go on a secret journey together and sit romantically by a campfire, both films take place by the ocean. 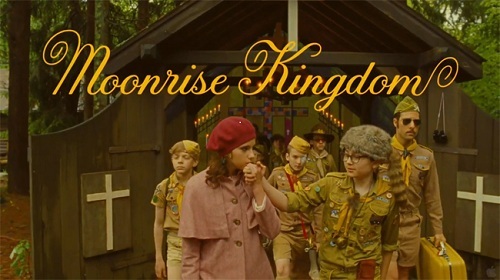 And technically, since Moonrise Kingdom is set in 1965, you could say it also goes back in time.